i have recently had the pleasure of meeting some lovely people both in person and on line who are quite new to shrimp keeping - although some have been keeping shrimp for sometime. I am both disturbed and amazed at the general lack of knowledge of basic shrimp keeping. Things like how to drip acclimatise shrimp. Doing water changes, what temperature to keep shrimp at, what substrates to use . Just the basic minimum knowledge is so lacking and once they realise they can ask me these types of questions I end up spending a lot of time with them answering their questions. I know the information is out there but perhaps it's lost in amongst all the more specific information that is harder to understand. I wonder if there is a time we could set aside here on SKF where we can answer realtime questions. Where people are able to come online and ask these questions while a couple of members are available to answer them. I understand these questions can always be asked but sometimes it can take hours or even days before someone answers. If we set aside a specific day and time that general knowledge questions can be asked and then the answer discussed and explained perhaps this would help the newer members to get answers right when they want them. We can all learn from each other's experience and discuss what works for us and what doesn't. I guess it would be like chat but on the open forum for anyone to join in. Thanks for answering our basic questions and maybe some of the harder (or wordier) ones could be redirected to a Moderator. 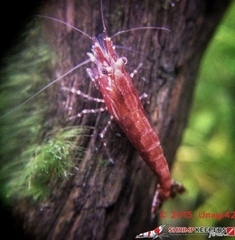 As a newbie I don't have a lot of sources of knowledge for shrimpkeeping and this was a big reason I joined the forum. Where did you get all your information and tips? You can only get so much out of shop attendants and the Internet often has conflicting views. I usually have 3-4 questions for the poor guys at Subscape Aquarium and look up info on the web daily (which I usually try to cross reference with information discussed here). I think having a basic knowledge section here would be fantastic and could covering simple matters for beginners. Thanks for raising it. I got most of my information here at SKF. we used to chat a lot , ask questions, compare experiences and have a lot of fun along the way. The information is on here but you need to search for it. It would be great to have people communicating and exchanging information at a certain time and day. No issues here.Chat is hit and miss depending on time of day and what device people are using. You could also maybe once a week just have a mega ask any question here thread as well? totally agree with @ineke there is a huge learning curve when initially starting out, especially if you are dealing with more delicate shrimp. I keep trying to remember the old adages if it ain't broke don't fix it and less is more. Happy to help where I can, although I am still learning the trade after almost a year in the game. @Grubs yes that is very good i think what @ineke was getting at was being a sounding board for new people in the hobby. I read a heap of articles when I first started out but it wasn't until I was asking specific questions to knowledgeable people on the forum that it began to sink in. Nothing beats interaction with other people who can answer questions In real time. When I first came on here Fishmosy answered a multitude of questions in a very easy to understand way - he never seemed to mind my endless questions . I didn't have the first idea of how to keep shrimp and treated them like I did my fish. All the abreviations were a nightmare and trying to wade my way through the literature was just to hard. 3-4 years ago there was less information available so the SKF members were my lifeline or my shrimps lifeline. Beginners feel silly asking really basic questions but it's the way we learn and our policy here on SKF was always no question is a silly question so new members can ask for help. I say go for it. For those that want to tryt his out, set a time for chatroom and let me know. I'll publicize it so people are aware and we can see how it goes. Sounds like a great idea @ineke. I havent been on chat as much lately but i wwould be happy to answer questions people if we want to make it a particular time. If anyone ever has any questions that do not need instant replies feel free to pm me. I am happy to help and have regular pm with lots of members. I am also sure other mods and members liaison would do the same thing. Dont be shy. It's also tough for a newbie to find answers. Different sources have different answers. Personally, I would never ask or rely on information from a LFS - unless it is a top notch aquarium, rather than just a pet shop. Differing web pages have differing answers. A lot of it should be down to trial and error, but with the 'information age' upon us, us newbies just want correct answers!! Of course, I understand there is a difference between 'general simple questions' such as 'will my large fish eat my small shrimp' or 'what should I feed my shrimp' or 'whats tank cycling' and more complex questions which rely upon the experience of others. Those simple questions should be done via research of the newbie - I mean, research is half the fun. 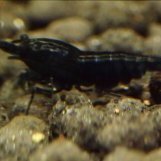 But yeah, I would always ask someone directly on here in regards to more indepth-yet-still-beginner questions about shrimps being berried, compatability of differing shrimp species etc etc. For example - take drip acclimatization regarding water changes. I did all the research on how to cycle a tank, the size of my tank versus the stock = what % of water change I should be looking at and approx how often, what you need to do do water before a change etc..... but I never knew that drip acclimatization helps the process and does not create a jolt in water parameters. Of course now that I know it seems simple, but at the time I didnt and lost a few shrimp. It was only after the third or fourth time I lost a shrimp within 24 hours of a water change did I realise it could be a problem. And again, it was the members on here which alluded to the potential issue. I still have a bunch of questions about it.... as I have an internal filter, does it matter that it will be turned off for an hour as I drip acclimatise? Does it matter a bit of the filter will be above the surface therefore BB may die off? What about my berried females when I need to do a watrer change? Will the lack of oxygen affect the tank or shrimp? Of course I learn as I go, and of course I do research, but for every beginner question I can answer myself then raises another three that I need help with!! I would love for if there was a dedicated time or area to answer some questions, but of course I still believe the onus is on the poster to find out the basics. And in turn, I would hope I would be able to answer other peoples questions! Count me in, if I'm available at the time slot. internal filter, does it matter that it will be turned off for an hour as I drip acclimatise? Does it matter a bit of the filter will be above the surface therefore BB may die off? What about my berried females when I need to do a watrer change? Will the lack of oxygen affect the tank or shrimp? @DemonCat, uhh, did you want an answer for these now, or are you going to save them for this chat session? @ineke, great idea. Giving the beginners the opportunity to ask questions. The veterans don't know what the beginners want to know. It is key that people ask questions. SKF has always said, there are no stupid questions here. Even if the question has been answered 100 times before, I have never seen anything but helpful members. SKF members don't point you to the search function and leave you to find information by yourself. So if there are any beginners with questions, ASK ! We don't know what you don't know. Great guys - I think we have always been there but going by the number of people contacting me who don't have the basics and are losing shrimp it will be great to let people know again that SKF is willing to help. Yes people should do research but for so many buying their first shrimp is an impulse thing and it's only when they start losing their shrimp that they look into what they need to do. I am always happy to answer any questions but people need to realise what works for one doesn't always work for others and that is when the different answers seem to come in on the different sites however I do believe there are basics that don't vary and they are what we need to help with. im glad you are all onboard and hope we can help more people enjoy our wonderful hobby. Oh BB Ididnt mention how much you helped me because we haven't seen you for a while and I didn't know if you wanted to be contacted. BB has been my inspiration and has helped me and many others get a great start in shrimp keeping. 90 % of my shrimp come from his lines. AND BB I have lots of Bluebolts now but they are Taitibees - still your line though. Saving them for the correct time! Plus my boss keeps wondering why there is also photos of shrimp on my computer.. I just wanted to bump this back up and see what times was best for everyone? I will be on chat late tomorrow probably after 9pm WA time. Feel free to come on and say hi and ask questions. What's the time difference with WA and the Eastern states? are you 3 hours behind? Hey guys no hurry but I had a quick question that is probably simple. I seem to be losing adult Cherries regularly but my water tests fine for the usual stuff. There is however a steady increase in pond snails . :( I've read that snail population is often linked with overfeeding but I am hamstrung having fish in the same tank. Is there something that increases in water quality that may kill my cherries and how do I deal with these snails?!?! (Sorry probably more like two questions. Unfortunately you can't use any snail baits as they kill shrimp too. You can try making a snail trap using a plastic container with small holes in it and putting food like an algae wafer and spinach or cucumber in it. You might catch a few small shrimp but you can release them. You can try either catching or squishing the snails especially at night after the lights are turned off - I have been doing this for ages and while I still have snails the population isn't exploding - the shrimp follow me around the tank and eat them the fish will too. its hard to tell why we get the deaths in adult shrimp. There are so many reasons, bacterial infections, moulting issues, stress - what type of fish do you have with them could they be stalking the adults, water conditions are you checking your GH and KH as well as the normal parameters. 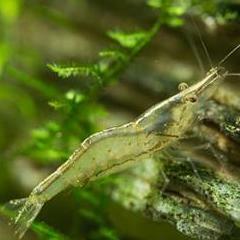 If it's only adults could they be old - most shrimp only live about 2 years even less if the water temp is high. Male to female ratio - if you have too many males they harass the females when they moult . The other thing we haven't looked at is are you fertilising your plants , are you treating your fish for any conditions as fertiliser and fish medicines may not be appropriate for shrimp. Also some fish foods have copper added and depending on the amount that too can affect shrimp. Thanks @ineke all relevant info. I will continue my regular nightly snail cull - extra food for the others. My fish are Endlers and Rasbora and whilst they have the occasional feeding frenzy nip at a shrimp I don't think they have the intelligence to stalk adults. Stress is my biggest worry running a small 23L tank and I might need to look into this drip water changes you speak about. GH and KH (and now that I've looked up what they mean) is something I've not taken into account. Melbourne water is generally pretty good and I haven't thought to check hardness. I haven't noticed too much hanky-panky from my males to females but this is also something I will assess from now. Thanks again for answering these questions. When we drip water into tanks there are all sorts of expensive fancy things that you can buy that work really well but don't get too caught up in it. A piece of airline tubing with a knot can be used just tighten the knot to get the drip rate you want or you can use an air control tap - they work with water too. Just have your bucket or bottle of water higher than your tank and it works very easily.